If you haven’t heard of the marshmallow experiment before, it was an amazing study done in the 1960’s by a Stanford professor named Walter Mischel, and it has been replicated on large and small scales, for the sake of both research and humor, many, many, times. In short, preschoolers are set alone in front of a plate containing a single marshmallow (the original experiment also offered cookies and pretzels as options). The child is then told that they can either eat the treat right away, or they can wait for the researcher to come back and receive a second marshmallow. It doesn’t seem like it should be a big deal; it’s just a marshmallow. I don’t know many people (other than myself, occasionally) that find just one marshmallow satisfying. However, this proved to be a very difficult task for young children, especially given the long wait with absolutely nothing to do except look straight ahead at the marshmallow, and succeeding to resist the temptation in order to receive long-term gain proved to be a good indicator of future health, success in school, and stable relationships. There are many examples of the marshmallow test available on the web, but I have yet to find one that doesn’t involve lots of music or have poor sound quality. If you do go looking for it, it is incredibly funny to watch, with children nibbling around the edges, squishing the marshmallow, sniffing it, stuffing it in their mouth and then spitting it out, and hiding from it to avoid eating it. I found this experiment extremely interesting because it is really a simulation of the ultimate test. Allah (SWT) has put us on this earth with many distractions, temptations, and beautiful things, but the reality is that the dunya is really just a single marshmallow, small, full of air, and unsatisfying. If we resist this marshmallow, what we get is not another marshmallow, but an eternal supply of everything pleasant and good, anything we would ever desire, and a purified soul so that we can completely enjoy it. Even better than all of that, we get to see Allah (SWT). But wait! 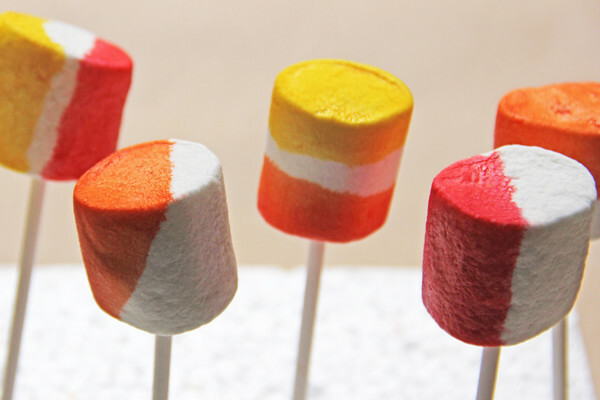 The marshmallow that is the dunya is actually one of those dual-colored marshmallows, and you are actually only required to abstain from eating half of it. The halal, permissible half (halal marshmallows!) is perfectly fine to consume, and it won’t take anything away from the reward you seek. 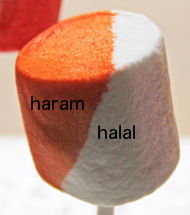 You just have to avoid the other side of the marshmallow, the haram, forbidden side. And just like ten minutes seems like eternity to a four-year-old but is really nothing, so is the length of our lives. We can personally attest to how retrospectively short the last five years have been, how we blinked one day and our children grew up, how we all know someone that didn’t live as long as we thought they would. Are we going to meet Allah (SWT) having consumed the entire marshmallow, sacrificing our afterlife? Are we going to spend endless hours obsessing over it, squishing it, nibbling at it, and eventually accidentally eating from the haram side? Or are we going to be patient, recognize that it is only a distraction, and choose to wait for the superior, eternal reward instead? May Allah (SWT) give us the perspective to keep this world in our hands and not in our hearts, Amen.